SKU: B4255. Categories: Bedroom, Crown Mark. Tag: BedB4. 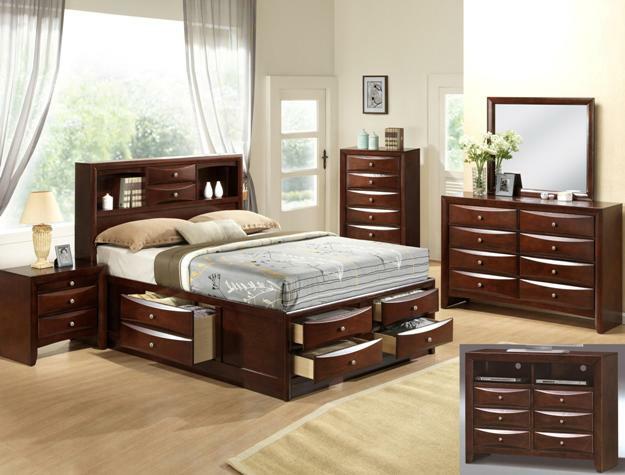 This beautiful captain’s bed has built-in storage essential for any master or guest room. Organize bedding or linens with the deep drawers along the rails of each side while the footboard has four drawers ideal for folded clothing. Make the most of your space and create a room that is neat and organized while still being stylish. Drawer exteriors feature dramatic beveled fronts and small silver finished hardware. 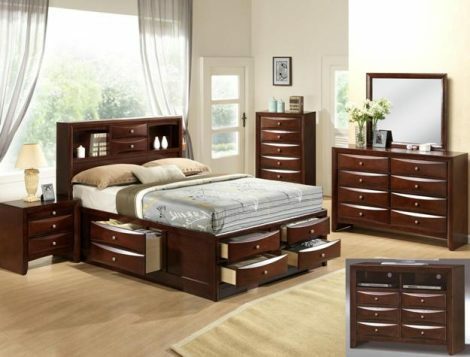 Let this captain’s bed completely transform a bedroom in your home while allowing you to make the most of every inch space. Bed available in King, Queen, and Full.